Flowers slot machine is a free online slot game brought to you by NetEnt. This game wakes up the summer spirit and you can enjoy its sunny theme and very relaxing background music. This is a five reel and three row video machine that has Double signs, substituting wilds, and Free Rolls combined with Stacked Wild icons. It has 30 fixed bet lines. Thirty pay lines give you amazing chances of winning, and it is almost impossible for reels not to connect in some way. 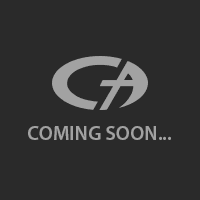 Coin value, as well as level you want to bet, are totally up to you. With all the wilds and other signs, free spins etc. winnings can get huge , and the theoretical return to player for this game is 96.3 % !. 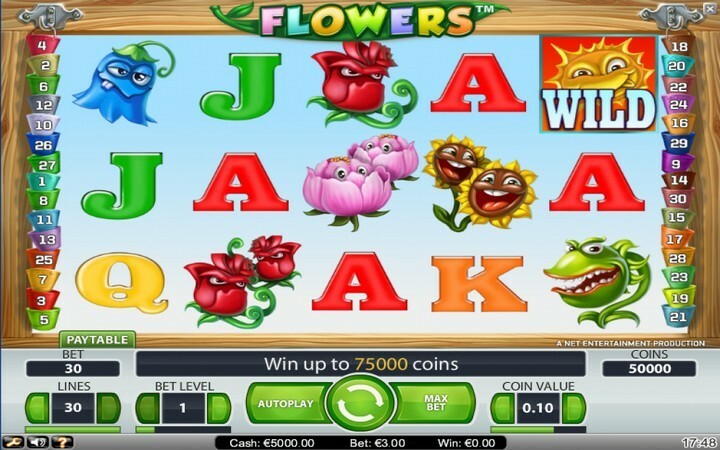 Flowers slots game consists of 9 regular, 1 wild and 1 bonus symbol. Rose brings maximum prize out of all regular signs, followed by sunflower., but the actual highest paying symbol is Wild. Wild symbol substitutes for all except Free Spins and Doubles. 5 Wilds can get you 5000 at bet level 1, and you have 4 higher levels ! Free Spins signs may appear as both single or doubles. Four or more Free Spins icons activate the feature. In it, 4 or more can activate additional free rolls. All wins in this feature are multiplied by 3. When 3 or more Free Spin sings appear anywhere on the columns, the bet amount is multiplied by the bet multiplier. Flowers slots free is made for everyone, from casual players and amateurs to high rollers and professionals. In order to play it for free all you need is any device with internet access without downloading nor signing up. If you want to make profit while having fun and play for real money, you can do so through many online casinos with bunch of depositing options. You can play one spin manually by pressing space bar after you check the box which enables it in game settings, located in bottom left corner. NetEnt provided Auto Play button which allows players to play Flowers casino game and collect prizes effortlessly. You can change coin value and bet level. Bet level is the number of coins bet per line. By clicking max bet button you play the game at the highest bet level and the pre-selected coin value. Clicking ” i ” in bottom left shows you all the symbols and all possible winnings they can reward you if landed. Navigating your cursor on speaker right next to game options button, brings up a slider on which you can adjust game sounds, or you can just turn it off by clicking the speaker. Your current balance, bet and previous spin result can be seen in the bottom.